Note: If you can’t get lapne, simply place some yogurt in a paper coffee filter to drain in a siphon over night in the refrigerator, and in the morning… you have kefir cheese. Easy. 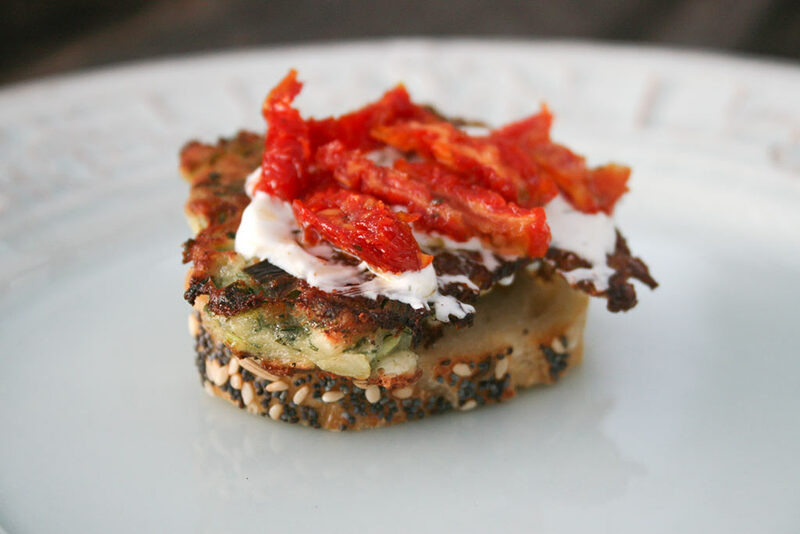 Make the fritter first (see the recipe link), and while it is hot, cut the baguette add the fritter and then the kefir cheese, and finally slice a sun dried tomato and add on top. I love the looks of this appetizer and zucchini — yum! Since I have an abundance of zucchini this year I’ll try making these. Yummy and easy, my kind of food!